Pundi-X (PXS): Buy Bitcoin Easily 🤣?!?! Pundi X built a POS machine + Card to allow people to easy buy Crypto as easily as buying water. Is this even possible - Check out the video to find out. Note: Sorry for the weird camera work. Got someone to help record this because I didn't expect to film that day. Pretty cool stuff. Crossing fingers for our friends in Indonesia! Pundi X is a great project. I just hope it can get mass adopted. However, i think the best payment platform right now is "Dunkin Donuts App". start paying with the app. 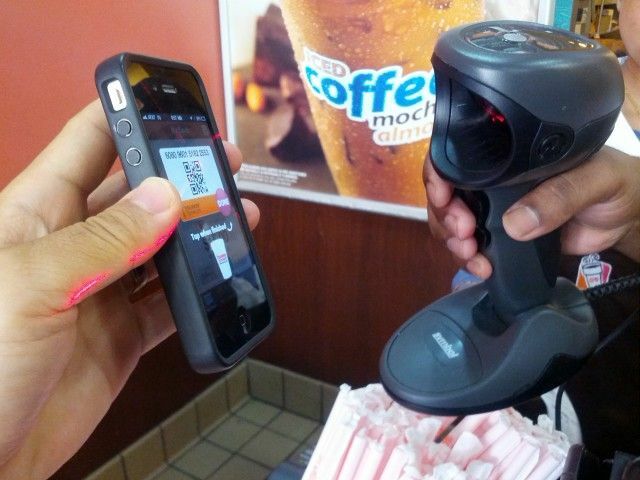 the cashier scans the barcode on the phone to pay. no reason to reach for the wallet. Also i get my coupons and rewards on the app as well. All business should be doing this. I do this already with wechat pay. Yes it is so nice and easy! Really interesting to see PundiX progressing with their devices. This is cool, Please keep us updated on this. I am finding it hard to buy my crypto, there are just so many fees and limits. I've looked at the bitcoin ATMs in H.K. the fees are so big, local bitcoin, coincola the mark ups are huge. Coinbase or other exchanges hard to navigate and so many fees. Sometimes the best is peer to peer but there too people charging like a commission fee. Very hard to get into this for the average person, hopefully a project like this can be beneficial to the crypto world. Once these sort of services become more mainstream And competition becomes my fearice. We will see a reduction in cost to the end-user.Thank you so much for watching our videos. Can a retailer with a Pundi terminal accept BTC if the customer isn't paying with a pundi bitcoin wallet? If a customer wishes to buy BTC from a retailer who has a Pundi terminal can they receive the BTC into their own wallet? If a customer is paying for something in BTC can they first accept the BTC/USD rate that Pundi is using for the conversion or is the customer a price taker? Felicidades amigo, me encanto el video gracias por tu apoyo, es de gran ayuda para nosotros.Saludos. A tu orden, siempre al tanto de sus publicaciones. Los invito a pasar por mi blog patra que den su opinion sobre mis ultimos contenidos,sera un placer contar con su apoyo. I will be the judge of that.. This is what we need to increase adoption on the retail front. I imagine more and more projects will look at this to come into the space although it will be difficult in the developed economies given the influence and strength of the banking sector. I'm a big fan of your work. You always have a calmed and balanced approach to what happens in the crypto world! Yeah there’s no sense in creating uncertainty in the market I believe the calm is the correct approach. PSX cannot buy Bitcoin easily. For what reason do you say that ? Because they are an abuser and are just making generic comments and self-voting.